Mark S. Richer, the long-time president of the Advanced Television Systems Committee, has announced plans to retire later this year. 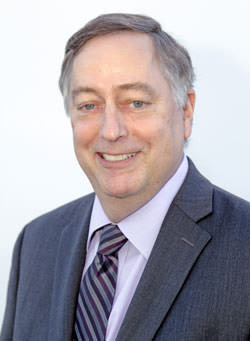 Richer, who has led the standards development organization since 2000, previously served as ATSC Executive Director in 1996-97 in between senior technology leadership roles at PBS and Thomcast Communications. Richer’s 40-year television career has spanned the transitions from analog to digital TV, standard-definition to high-definition TV, and now to 4K and Next Gen TV. The capstone of Richer’s career is the ATSC 3.0 suite of NextGen TV standards, representing the world’s first Internet Protocol-based system that marries broadcast and broadband. In addition to leading the ATSC for 20 of its 35 years, Richer’s noteworthy industry contributions include his development of closed captioning in the 1980s and his key role in what is now known as ATSC 1.0, overseeing the technical evaluations of proponent systems for the world’s first digital TV broadcast standard in the 1990s. Richer first joined the ATSC as Executive Director in 1996-97 after 16 years at PBS where, as Vice President of Engineering & Computer Services, he was responsible for development of new technologies for PBS and its member stations, design of audio/video systems, and management of computer operations. He is a Fellow of the Society of Motion Picture and Television Engineers, a Senior Member of the Institute of Electrical and Electronics Engineers, a member of the Society of Broadcast Engineers, a charter member of the Consumer Technology Association’s Academy of Digital Television Pioneers, and serves on the FCC’s Technological Advisory Council.